We had another interesting first time experience recently when I recorded an hour and a half podcast for Chris Blanchard’s Farmer to Farmer Podcast series. Chris was a farmer and now is consulting with organic farmers and has started doing these interviews with mostly organic vegetable farmers from all across the country. If you have great stamina you can listen to the whole thing which is wide ranging but the following is a breakdown of the major subjects if you want to skip around. Starts with an intro; minute 5- where we market and how we got started; min. 10- how we financed the whole thing; min. 20- record keeping and crop planning; min. 30- high tunnels and tomatoes; min. 45 our transition plans with Jennie and retirement; min. 65 efficiency, labor, equipment and farm design. We recorded it over the phone so the sound is a bit funny as I sound out of breath. 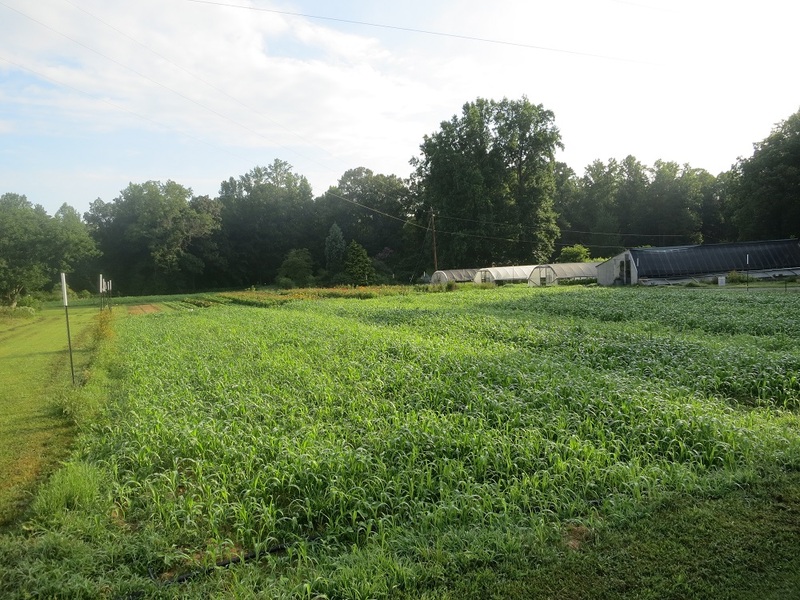 Friday we have another interview for a profile of Peregrine Farm to be in yet another book, this one about successful small farms under 5 acres in production. This will be, I think, the seventh book we have been included in over the years, something we never imagined. Planting of fall crops picks up over the next few weeks with many flats seeded at the greenhouse and celery, turnips and radishes all in the ground already. In the next few weeks we will plant or seed leeks, carrots, beets and Romanesco broccoli. We even harvested the first of the winter squash yesterday, I know it seems wrong when it is 90 degrees but that is how the timing works here in NC.